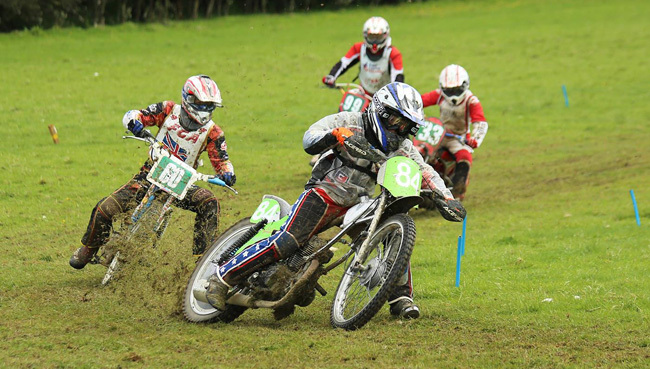 Rained all day - Eli prefers a grasstrack tyre compared to some Juniors who can still use motocross tyres this puts him at a disadvantage on the gate. However he had 5 second places and a third place (due to a puncture) and placed second in the final to Sam Hall who uses a motocross tyre. 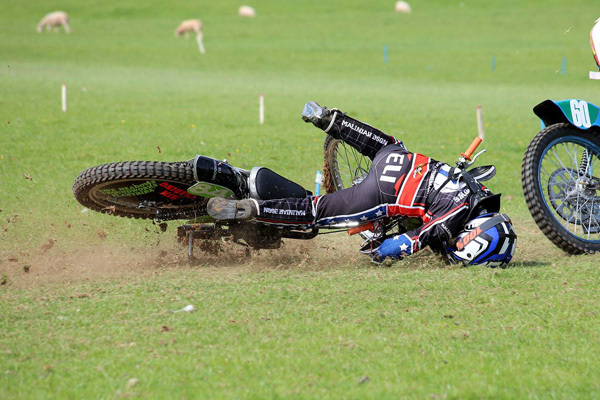 Due to problems with speedway bike after repairs Eli went to Buxton he completed a good 15 laps before going over banking on pits corner heading towards the fence- managed to lay the bike down before hitting the fence where he bent the gear lever- bruised his hip and little finger. Another eventful day more alterations having been made to bike after Chetton and day seemed to see Eli getting his Mojo back and gradually improving achieving two thirds, two seconds and a win. 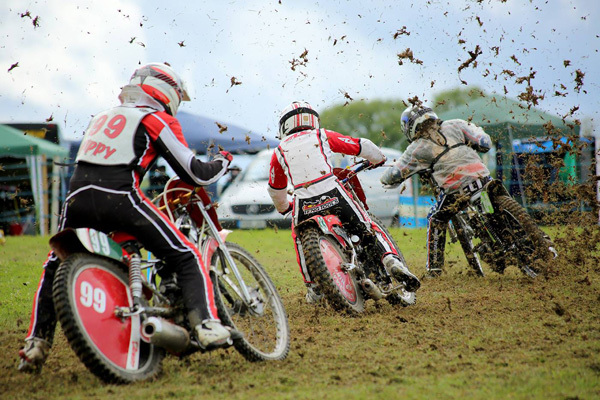 In the last race while taking the inside line to a younger rider who then closed the door Eli had another crash snapping front forks, sustaining wheel damage, broken gear lever, front mudguard and helmet. After being treated in first aid for a swollen knee (same one he broke) and query concussion, they declined to let him out in the final. So we are all a bit glum here - Very broke - and generally a bit fed up!